I’m sure this vérité documentary on commercial fishing appeals to many people, particularly those inclined to more artsy-fartsy fare. To me, endless takes of fish getting caught, beheaded, and processed – all shot in extreme close-ups with shaky cameras – just seems like a vacuous exercise. I get it. We’re meant to feel like we’re in the shoes of the fishermen whose lives depend on the hellish synergy of man, animal, and machine. 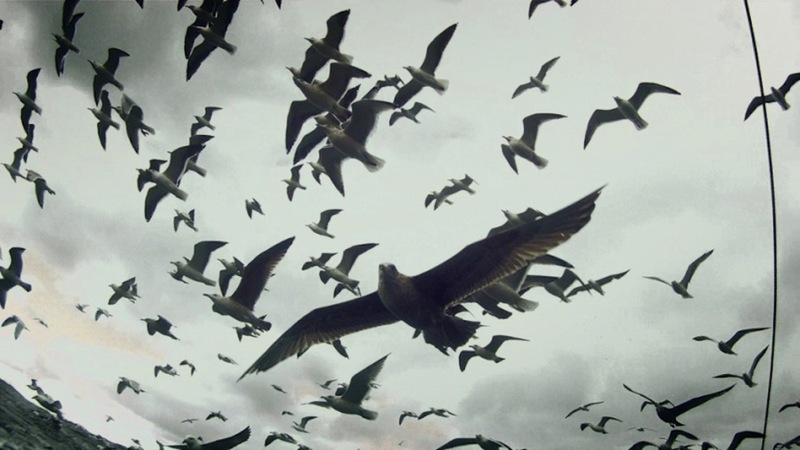 But for all its “poetic” imagery, Leviathan left me lost in a sea of pretentiousness. Cool seagulls, though.